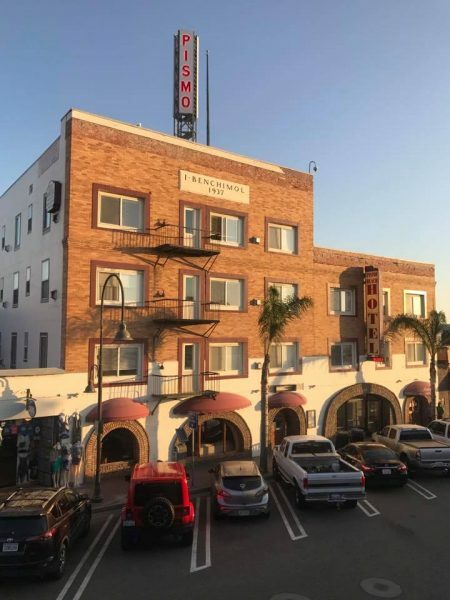 At about 12 p.m., the boy fell out of the window of the Pismo Beach Hotel located at 230 Pomeroy Street. When officers arrived at the scene, they found the five-year-old boy standing and walking around the sidewalk where he had fallen, according to a Pismo Beach Police Department press release. Witnesses confirmed that the boy was indeed the child who had fallen. Responders provided some medical aid and transported the boy to Sierra Vista Regional Medical Center, despite him not having any visible injuries initially. The boy’s family joined him at the hospital. Investigators determined the fall was accidental, and there was no foul play involved. The Tribune reports the boy’s mother was in the shower when he fell out of the window. The mother was reportedly still in the shower when police arrived at the scene, and officers had to go up to the room and get her out of the shower. I wonder if he hit one of the awnings on the way down. If so, it could have broken his fall and saving his life.